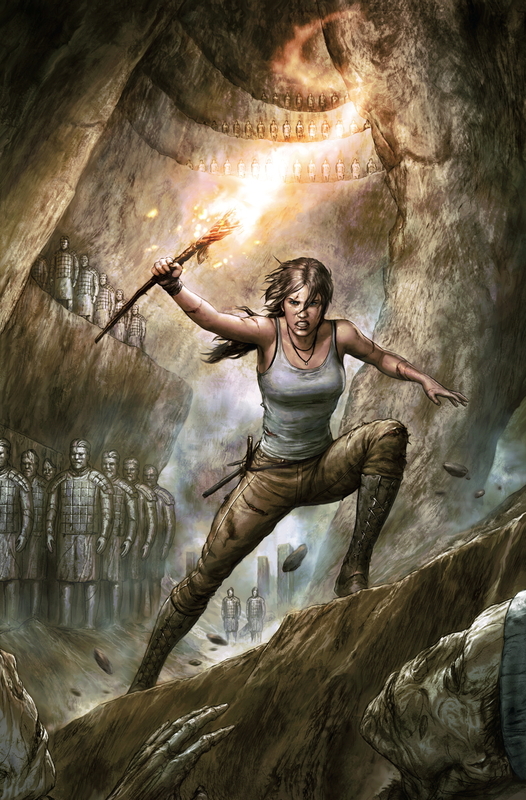 Lara Croft is coming back to Dark Horse. Well, it's not like she ever left, but Dark Horse is bringing along a new writer for the series in Mariko Tamaki. The new Tomb Raider hits stands February 2016. FOR IMMEDIATE RELEASE: MILWAUKIE, OR—In 2016, Lara Croft is back, and she’s bringing a whole new bag of tricks to the table at the hands of award-winning writer Mariko Tamaki.